When you submit an application for employment on this page, you should be aware that you are submitting an application for employment with an independently owned and operated Papa Ray’s Pizza & Wings restaurant. 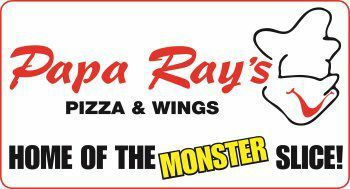 Although Rayyan Pizza Franchises LLC dba Papa Ray’s Pizza & Wings is making this online application available to its franchisees and to individuals interested in employment at Papa Ray’s Pizza & Wings restaurants, Rayyan Pizza Franchises LLC is not an employer of any employees at Papa Ray’s Pizza & Wings restaurants. Each franchised restaurant is independently owned and operated. Your application will be forwarded to the owner of a franchised restaurant based on the location that you select. Employment at a franchised restaurant will be with the independent owner of that restaurant. The franchised restaurant owner makes its own hiring decisions and establishes its own terms of employment.